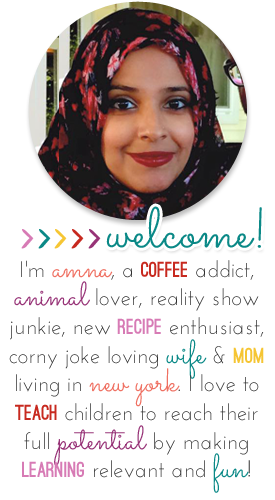 I am thrilled that I got to get together with 6 amazing bloggers/teachers/TPTers/Instagrammers/friends, for a wonderful Spring Giveaway. But not just that, my favorite part of this whole thing is that we all swapped products with one another so we could use them in the classroom, take tons of pics, and then tell all you guys how awesome they are! And what I got WAS really awesome! Make sure to read all the way to the end because..A) you don't want to miss out on knowing all about what I am going to talk about in a moment. 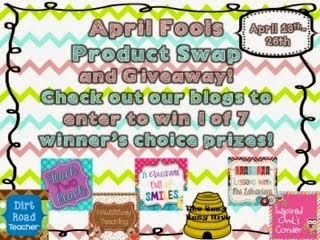 And B) you have to enter a giveaway that will allow you to win A FREE CHOICE item from our stores!! Ok, Let's get started. I was lucky enough to swap with Lisa from Pawsitively Teaching. 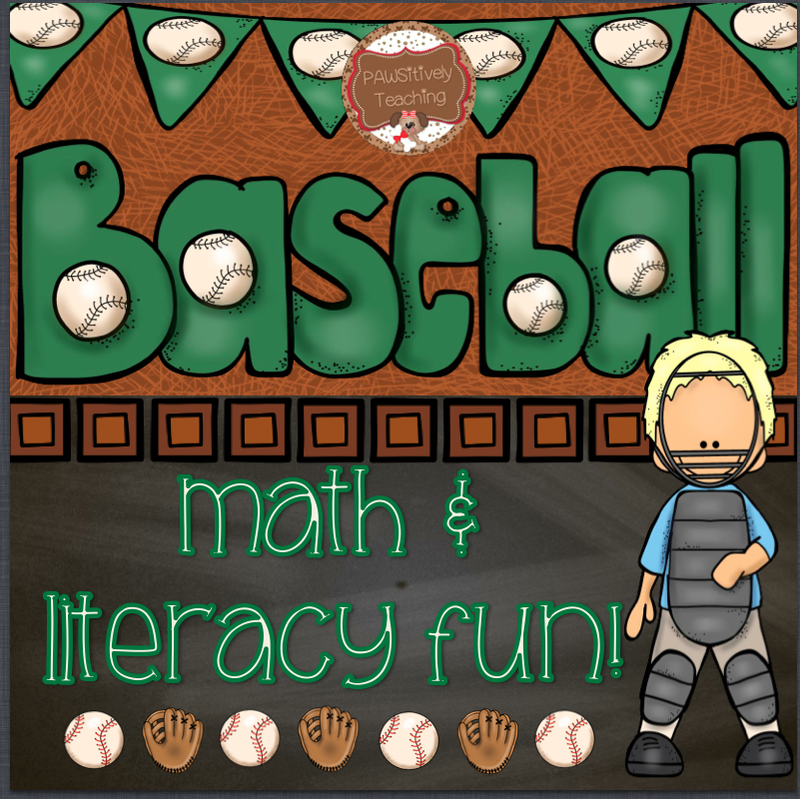 She just created this Baseball Math and Literacy Fun unit that includes soooo many colorful and helpful centers. I love the organization of the table of contents...and the design! To save paper, I had my students do the recording work in the dry/erase sleeves. I love those things! If you don't have a pack, you should look them up. 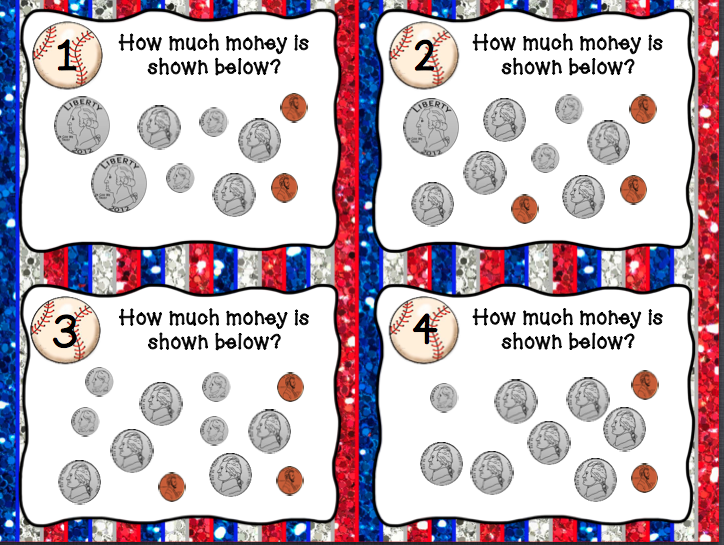 They are perfect for small group work and center work where you don't ALWAYS have to have a paper trail. I actually had some open time this week so I had the kids do centers for both Language Arts and Math at the same time. They rotated from one to the next, just going to what was open and had space. I had about 3-5 allowed per group. Below are some pictures of the kids doing the telling time and counting money center. They had the task cards out in front of them and recorded the answer on the recording sheet that Lisa provided. I also like the fact that she gives the answer key, so after the students were done, they were allowed to check their response on their own and then turn it back over. They had to do that before they moved on to the next center. Here are some pictures of the literacy centers. One was identifying parts of speech in sentences. She asked a variety of questions that students had to fill into recording sheet. I allowed students to work together, so I loved hearing them talk about which ones were the nouns, verbs, etc..and I liked hearing them correct and help one another if someone was wrong. Also included was a synonym center and an ABC order center. Students worked together to match synonyms, were one word was on a baseball glove, and the other was on a ball. For the ABC order, she had baseball related words, and students put them in order. THEN, they had a quick assessment sheet where they used what they just learned to fill in the cut and paste sheet that assessed those skills. 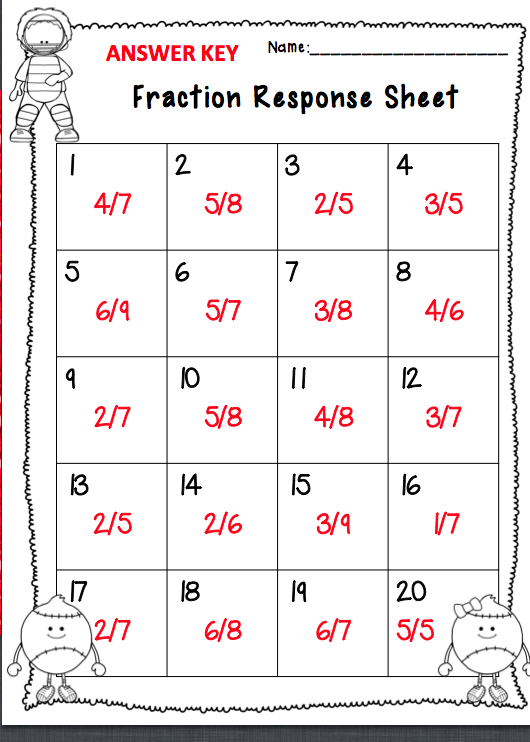 Also included were these little spinner activity sheets. I used these for kids who were done with all the centers. They could take one and work with a partner. They used a paper clip for the spinner, and there was a tic tac toe game board filled with words that fit different parts of speech. Whatever the student landed on, they had to find a matching word, and write their initial in the box. Whoever got a row filled in first, was the winner. Ok, it keeps on going!! See how much stuff is included??? At a separate time, I had students do some interactive story elements pages she included. I had them read a story from their basal that dealt with baseball called, "Just Like Josh Gibson." Then they used her template to write the characters, setting, problem, and solution, and another template for the beginning, middle, and end of the story. There is more to this unit...it's still not done!!! I didn't finish it all, but plan on doing it as we learn those topics. 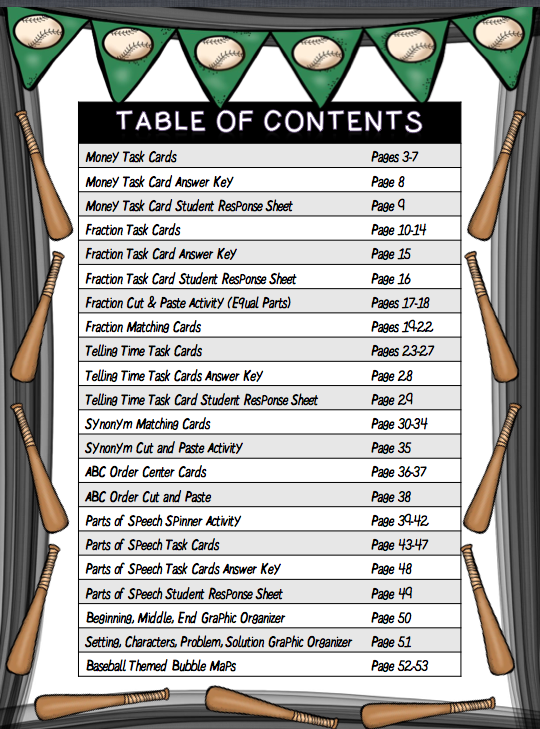 Thank you Lisa for allowing me to use such a comprehensive unit that was perfect for reviewing skills in my class! Please make sure to check the unit out HERE. Ok this is randomly inserted. 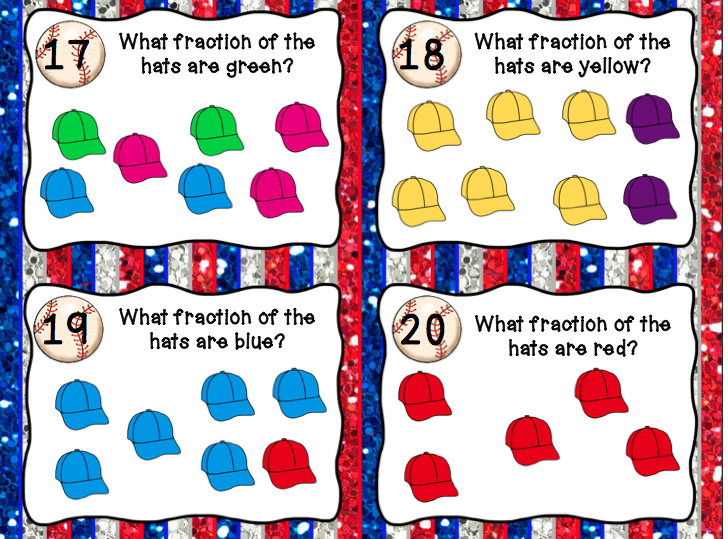 But here is a link to a Pizza Pronoun Freebie that I just uploaded to TPT. Simple, but effective way to practice pronoun use. Grab it by clicking on the first picture. Now, on to the giveaway. Here is your chance to enter to win anything from our stores.